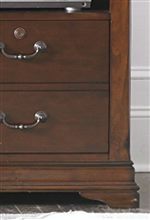 Keep all of your important documents and valuable assets safely locked away in your home with locking file drawers. With the capability to hang file folders you can also keep everything you need organized. Find exactly what you need when you need it. 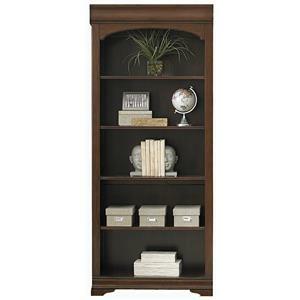 Safely keep your personal records and valuables locked away with this media file cabinet. Two deep locking drawers are perfect for file storage while the open shelf design doubles this pieces functionality. 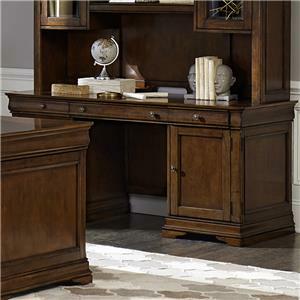 Wire management provisions allow you to use this cabinet as a media chest placing your television on top and media consoles in the shelves. 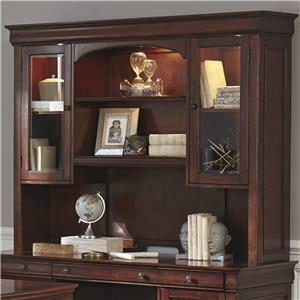 Crafted from solid pine and poplar with cherry and birch veneers in a warm cherry finish this piece is accented by the dark finished hardware for a traditional look. 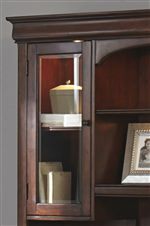 The Chateau Valley Traditional Media File Cabinet with Locking Drawers by Liberty Furniture at VanDrie Home Furnishings in the Cadillac, Traverse City, Big Rapids, Houghton Lake and Northern Michigan area. Product availability may vary. Contact us for the most current availability on this product. 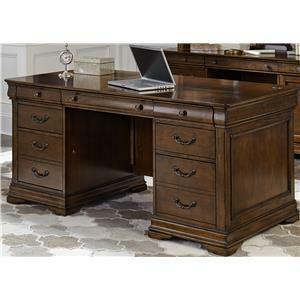 The Chateau Valley collection is a great option if you are looking for Traditional furniture in the Cadillac, Traverse City, Big Rapids, Houghton Lake and Northern Michigan area. 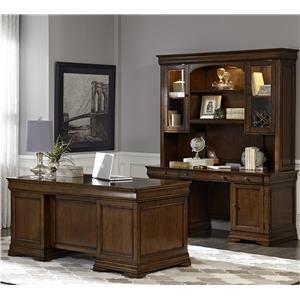 Browse other items in the Chateau Valley collection from VanDrie Home Furnishings in the Cadillac, Traverse City, Big Rapids, Houghton Lake and Northern Michigan area.